Guess what guys? 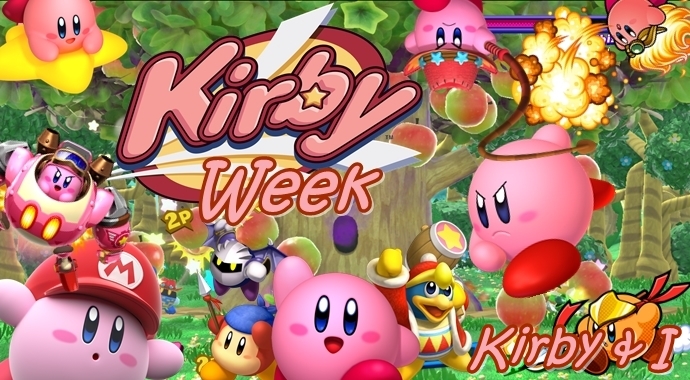 All this week its #KirbyWeek and while it is true, we have heard from all the devs and publishers, we’re going to hear from this week, it is time for a final instalment of Kirby & I! Only this time, it’s an extra special one, as we’ll be hearing from Kirby fan Toby Saunders. So, for the last time this week, take it away Toby! Q1. What is the First Kirby game you played? Kirby: Nightmare in Dreamland, and what a game it was! Q2. What is the Last Kirby game you played? Kirby: Battle Royale – a decent game, you can read my review of it on this website. Q3. Do you have a favourite Kirby game? I love most of them deeply, but Kirby: Triple Deluxe, Super Star Ultra and Mass Attack are my favourites. Q4. Do you have a favourite Kirby ability? There are so many to choose from! I’ve always liked the Sword, Wheel and Fighter Abilities, but Ninja Kirby is too cool for school. Q5. Do you have a favourite Kirby character? Can you choose anyone else except from the Pink Puffball himself? What a guy. Q6) Have you tried the Kirby Star Allies demo for Nintendo Switch? Nah, I don’t tend to play demos. Q7.Will you be buying Kirby Star Allies for your Nintendo Switch? I’ve had it pre-ordered for weeks! Cannot wait. Q8. Do you own a Kirby amiibo? I have Kirby, King Dedede and Meta Knight. I also own a Kirby t-shirt if that wins me any bonus points. Q9. Do you have a favourite Kirby moment? Discovering you can copy enemy abilities for the first time. It’s as magical as anything in video games. To everyone who took the time to join us this week, thank you. However, we still have one more full day of #KirbyWeek left, so the party is not over yet!